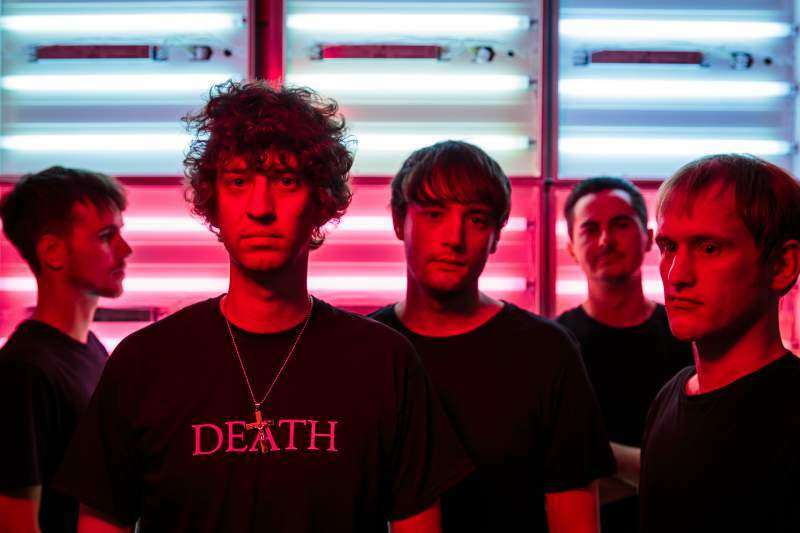 Dealing in the same goth-cloaked post-punk of bands like Bauhaus and early Joy Division, Leeds-based four-piece Autobahn are not what you’d call a jolly bunch. Their gigs are noisy and abrasive affairs, exemplified by lanky singer/primary songwriter Craig Johnson and his ‘pissed-off’ aura. It’s a kind of contained chaos that has earned the band a keen following amongst us disaffected souls and lovers of bleak, yet strangely life-affirming guitar music, and North Eastern fans will get a chance to wallow in their hypnotic sounds at Stockton’s Ku Bar on Friday 24th November. Autobahn seem to know darkness like the back of their hand and there’s no better evidence than 2014 debut, Dissemble. An album that captured their devastatingly raw live sound, whilst finding unlikely poetry in the jet black solitude of tracks like A Beautiful Place To Die and Suicide Saturday. New album The Moral Crossing (released on Tough Love Records this month) saw the band build their very own studio from scratch, whilst Johnson schooled himself on production duties. If latest single Future is anything to go by, it sounds like the band are veering off into new sonic directions. It’s a synth-driven stomper and Johnson reckons it’s their most ‘pop’ tune yet, taking its cues from the likes of Gary Numan, Human League and Wham!’s Club Tropicana (yes, really).